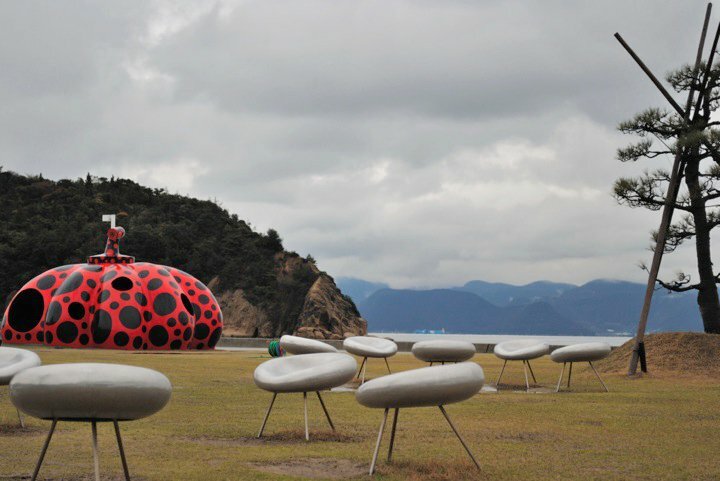 Yayoi Kusama is a famous contemporary Japanese artist who has created her work full of polka dots! Since Yayoi was ten, she started to experience vivid hallucination that she described as “flashes of light, auras, or dense fields of dots.” The hallucination really overwhelms her that it later influenced her artwork like the one in the photo below. Red pumpkin with black dots. My art originated from hallucinations only I can see. I translate the hallucinations and obsessional images that plague me into sculptures and paintings. 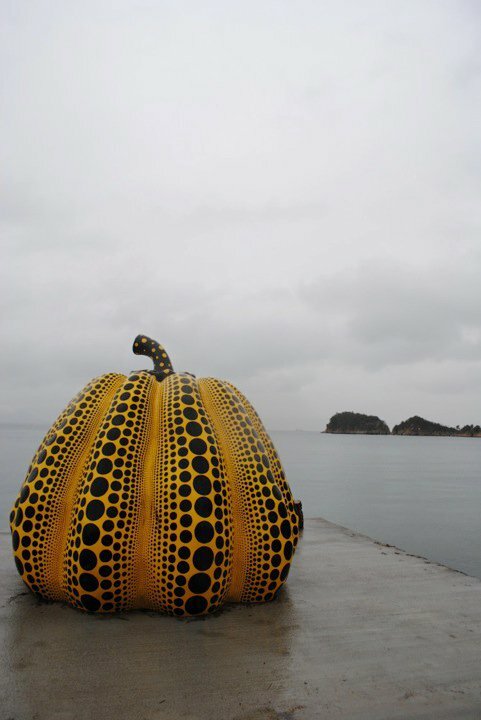 “Red pumpkin” at Naoshima, Japan.